Ground Level – International Arrivals Building (IAB) median between the IAB and Terminal 1. Ground Level – C Gates public accessible sidewalk but not within 20 feet of entry ways. Ground Level – Makai Group Tour Area between Terminal 1 and the International Arrivals Building in Terminal 2 and away from curbside pedestrian traffic. 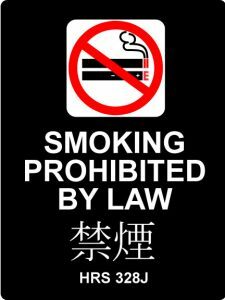 * In addition, smokers must also be at least 20 feet away from any doorway, window or ventilation duct to prevent the spread of second-hand smoke. 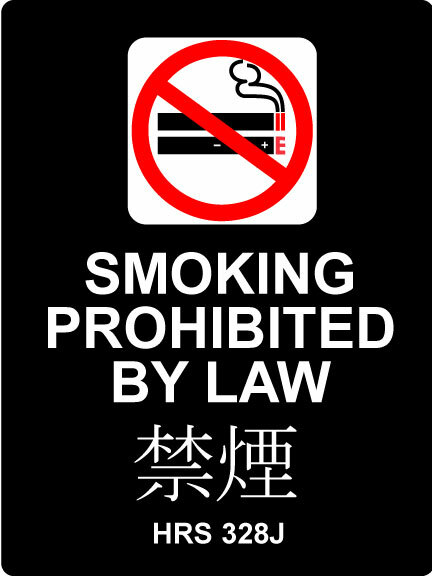 Signs are posted around the airport to remind passengers about the no-smoking policy.